And it might well be. If that sounds a little cautious, it’s not because of the machine’s capability, which is truly remarkable. It’s more because some Western scientists and medicos are reluctant, or simply refuse, to embrace anything that doesn’t fit into their empirical world view. They still live in the world of classical physics, which states that there’s a separation of mind and matter. Quantum physics however has proven there is no separation of mind and matter. It’s what the Eastern mystics have been saying for thousands of years. And yet many in the West still cling to this notion, even though it’s no longer relevant in our modern world. 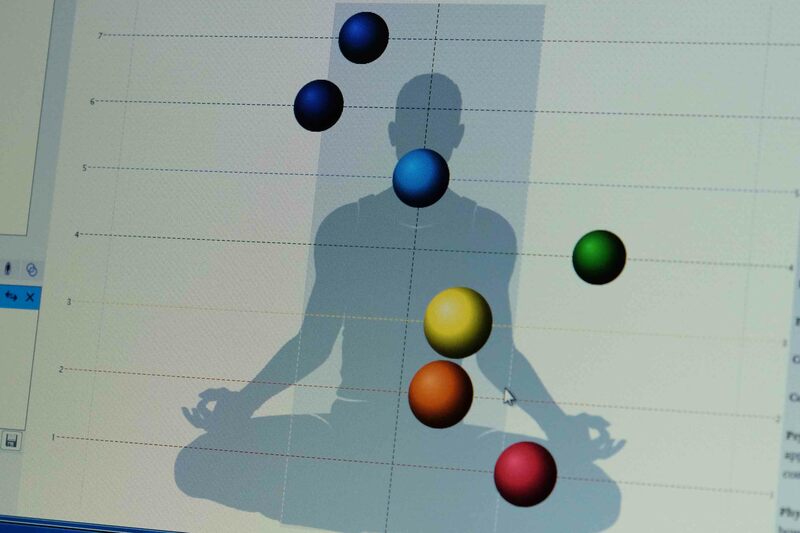 For two thousand years, Chinese healers and philosophers have believed that the mind and the body are interconnected – that they are all part of one whole – and that our mind and body are connected through a system of energetic channels, punctuated by meridian points. This is what acupuncture is based on. And within our body, one of the largest concentration of these meridian points is the tips of the fingers and thumbs. What does GDV stand for? Now it gets a bit technical, so let me just explain. Consider the possibility that your energetic field within your body – your “subtle” body – is constantly monitoring your state of health. And that this energetic field is sensitive to any issues or maladies which might threaten the well being of the body. In other words, your energetic field has your back. It’s developed an inbuilt early warning system that alerts you to possible medical problems way before they become life threatening. If we could do that, then we’d be able to pick up health issues long before they become problematic. What we’d be looking for are spikes or dips in the energetic fields associated with particular organs or systems – abnormal fluctuations of energy that indicate that something is amiss. That’s what this machine does. It reads that early warning system. By reading your subtle energy field through the tips of your fingers and thumbs, it creates charts of your entire energetic system. A trained person then analyses these charts, and determines if there are any abnormalities in your energetic fields. The GDV machine is a box with a hole in it – like a large pencil sharpener. You put each finger (and thumb) into this hole, and the machine then discharges a very weak electric pulse into the fingertip for a microsecond. This creates a corresponding bodily reaction – an “electron cloud” of light energy photons. This cloud is captured by a camera within the box, and that digital file is then sent to a computer, loaded with a sophisticated software programme which then creates the energetic charts. The whole set up was created by a team of esteemed scientists in Russia, led by Professor Konstantin Korotkov – a highly distinguished research scientist. The system has since undergone rigorous testing and analysis by scientists and health organisations around the world. Read the attached PDF below for information about the machine, and its accreditations. The two people who introduced us to this machine at Uluru are Doug Strandly and Grace Moy O’Brien. Doug is the geek and Grace is the doc. Doug has brought the GDV to Australia – he went through extensive training in the US, and now trains others. Grace is a Chinese doctor who analyses the charts. At Uluru they did Jennifer and my charts. It’s a completely painless process that takes only a few minutes. What takes longer is the analysis of the charts, and that’s where you need a trained professional like Grace to interpret the data. Legally they are not allowed to call this a diagnostic tool – they are not allowed in their reports to say: You have cancer in your pancreas. Instead they have to say: We have picked up an energetic abnormality in your pancreas. You should go see a doctor and have some tests done. In fact, they were all over the shop! To be honest, I was terrified that my chakras would look like shrivelled frozen peas. I was mightily relieved to discover that they were in fact of appropriate proportion to my massive spiritual stature. 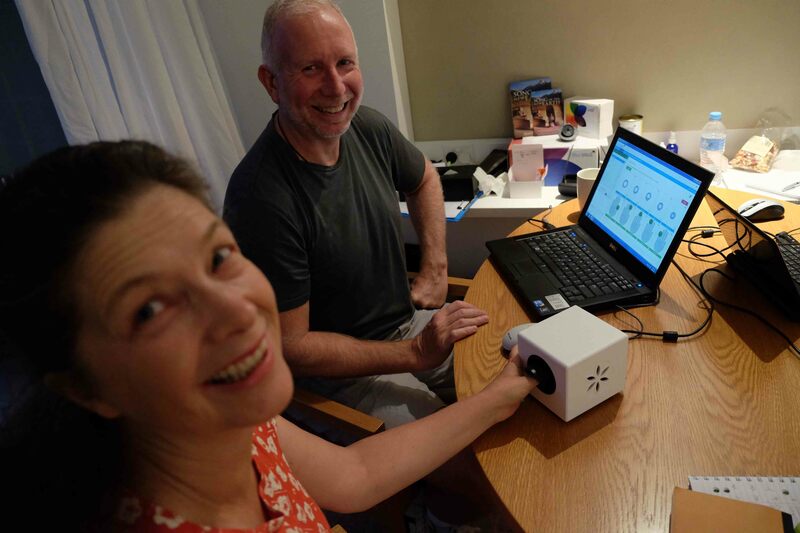 Just to finish – when Jennifer and I had our charts done, Doug and Grace picked up some medical conditions that no-one would have known, other than our doctors. For instance, I had lost a filling from a tooth, and infection had set in. That showed on the chart. 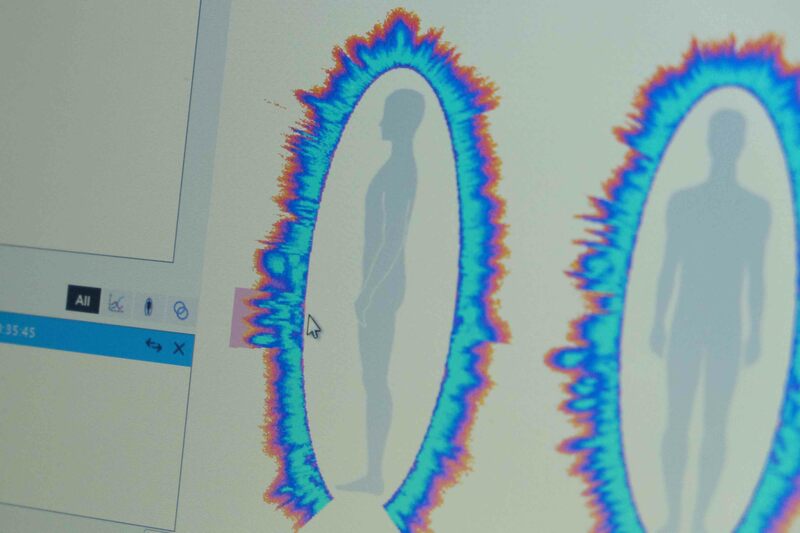 Dr. Korotkov and his team have managed to take the age old principles of eastern medicine, and have created a system of hardware and software that can measure your energetic fields, and determine where there might be health problems. It can tap into your subtle body’s early warning system. If the West can begin to embrace the concepts that the East has been working with for more than two thousand years, then yes, this machine could well be the future of medicine. WOW! Do they ever come to the US? Such a shame Bill that Doug and Grace are so far away from the Sunshine Coast!! There might be a GDV machine in Sydney Britta – check with Doug… and yes, it’s very plausible.